Hornet Stainless Steel Drinking Straws - 3-Pack | BUDK.com - Knives & Swords At The Lowest Prices! With this handy 3-pack of Hornet Stainless Steel Drinking Straws, you'll never have to buy a box of flimsy, single-use plastic straws again! Washable, reusable and compact, they're perfect for camping, hiking, emergency preparedness or any other application where space is precious and limited. They're also great to keep in your vehicle, RV and at home as an eco-friendly, money saving alternative to regular plastic straws. At 8 3/5" long, each stainless steel straw is similar in size to ordinary plastic straws, but this convenient 3-pack will replace a potentially infinite number of disposables! 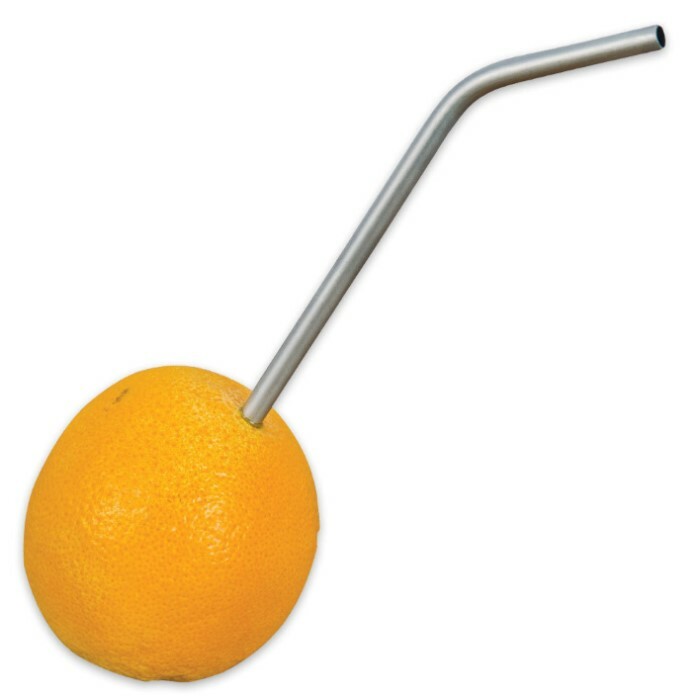 The stainless steel used in their construction is nontoxic, dishwasher safe and virtually indestructible - no more useless, cracked straws! 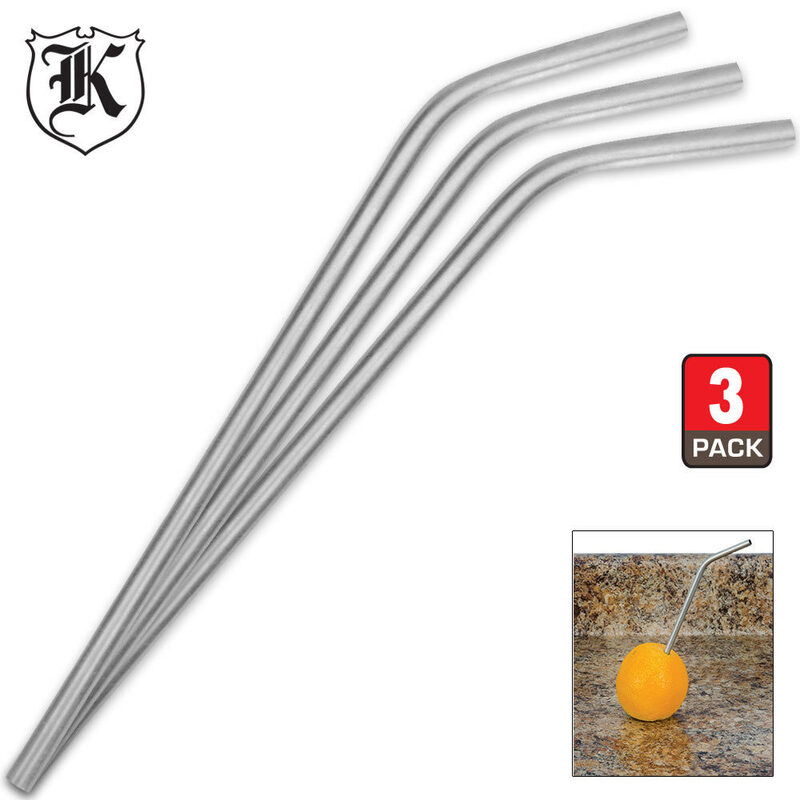 Don't get buried in a mountain of plastic straws; get this 3-pack of Hornet Stainless Steel Drinking Straws today! Great Idea, but not long enough. With the bend it won't even get to the bottom of a soda bottle. I hope someone comes up with a longer version. Pretty nice, washable, reusable, not too thin. If the wife gives it an ok then it is good for everyone else.